It’s been a while since I posted on here, and that is because it’s been a while since anything progressed. We were held up by the construction loan process and all of its caveats. Construction lenders require that your plans have been submitted and reviewed by the county before you can move forward with your construction loan. That is because they want to know that the house you want to build actually CAN be built. They want any changes the county may require to be accounted for BEFORE they agree to lend on this hypothetical house. 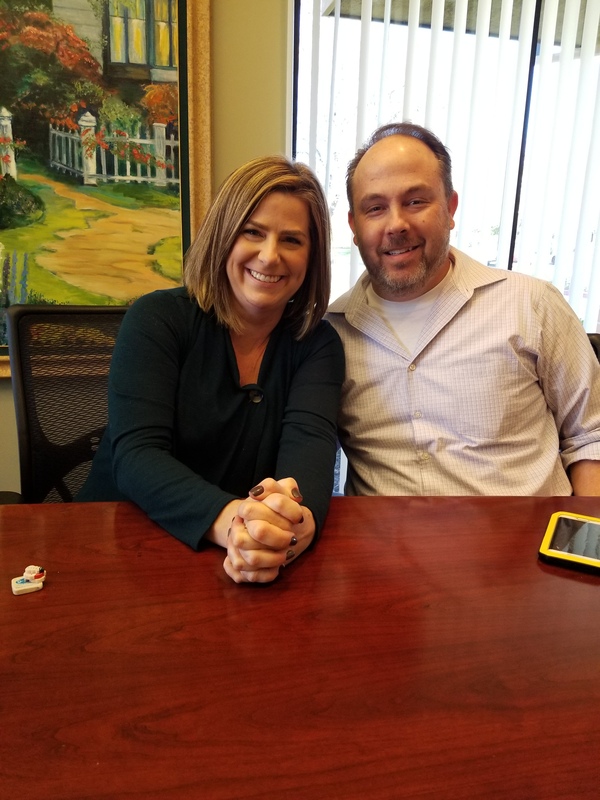 My husband and I have a background in mortgage lending, in underwriting specifically and that helped us immensely to be able to speak the same language as the lender throughout this process. There were just a couple of major hurdles we had to overcome, but they ended up being time consuming. In a construction loan, both the borrower (us) and the builder (contractor) must be approved by the lender. We had already chosen our contractor. 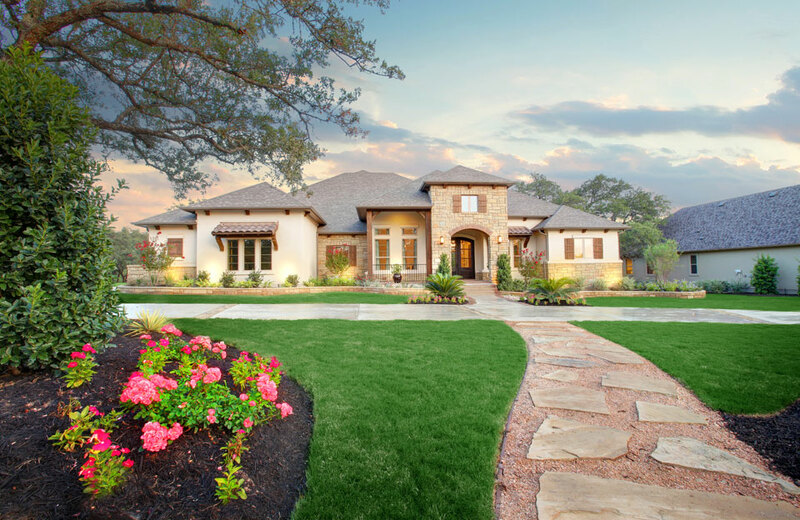 In our case, we selected our contractor because it was someone we knew, he had done custom home builds which we toured and talked to the homeowner, they were up and coming and priced reasonably, but most importantly it was someone we trust. The builder was required to submit their financials and detailed cost estimates to the lender. Once the builder is approved with the lender, they can carry that with them for other jobs. Our contractor was eager to be approved for his resume and very compliant in doing so. The shear amount of information they are required to submit is a huge task. 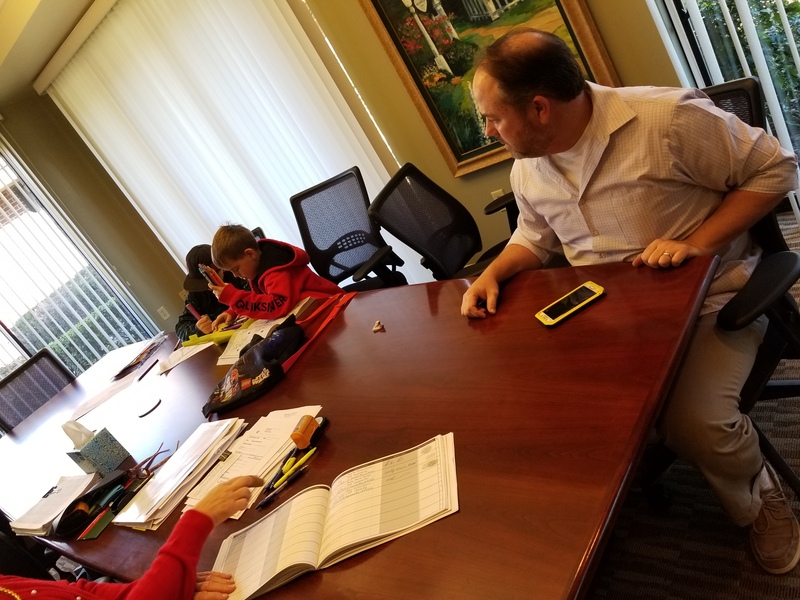 Despite knowing it may not be exact, they are required to estimate for every line item of our construction to make sure the cost falls within our loan amount. The loan terms are a 30 year loan, the first 12 months are an interest only payment base on the outstanding balance. After the first year, we are expected to be done with construction, and the loan flips to a 29 year fixed rate loan. The other major hiccup we had was with belongings we had on the property. The lender is extremely leery of ANY work having been done on the property. They want zero chance that a mechanics lien could be placed by a contractor that would jeopardize the first lien position of the construction loan. Once we had plans approved by the county, the lender sent out an appraiser to view the property. At this point we had had tree removal done at the property which we had paid for in full. The lender had to be told we did this work ourselves because they would not have allowed work to have been done, despite us paying for it in full. They also took issue with our boat, tractor, camper, and the shipping container we had on the land. The boat and camper were easy to show that we hold DMV title too, but the tractor and container have no title. Their fear was that the container and tractor could be rentals, or belong to a contractor, that could lien the property. 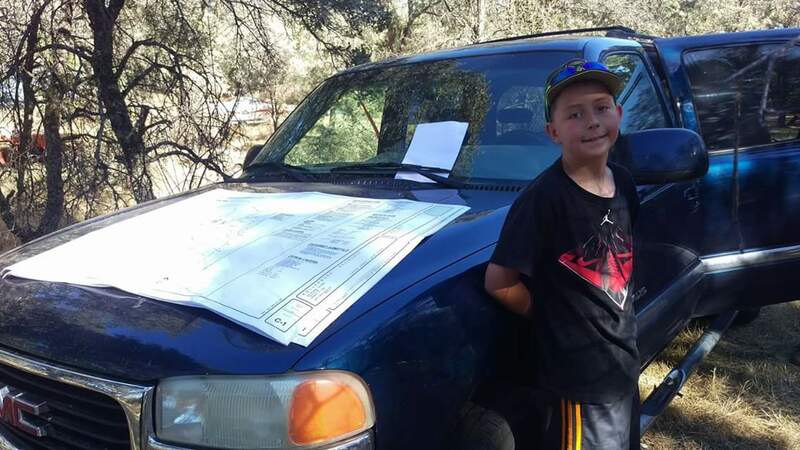 We had to write a letter stating they were ours, provide the bill of sale for the tractor and the towing receipt for the container when it was brought to our land. They then stipulate that another inspection will be done the day of closing to reassure no work was being done, we were at a stand still. We continued to work on the fence, but otherwise, nothing could be accomplished. During these delays we were also required to provide updated financials for ourselves. We did ask the county if they would split off our permit for grading, allow us to pay that and approve it separately so we could at least begin grading. The grading permit was @$500 and was required because we were moving over 400 yards of dirt. We also had more trees and some poison oak removed while the bobcat was on the property. The bobcat rental was @$1300 for the week. My pessimistic outlook meant that I spent this whole time waiting for the other shoe to drop, for something to go wrong. We’d always said we would build this house one way or another, but if the loan didn’t go through, we were dead in the water. That final approval was much celebrated. 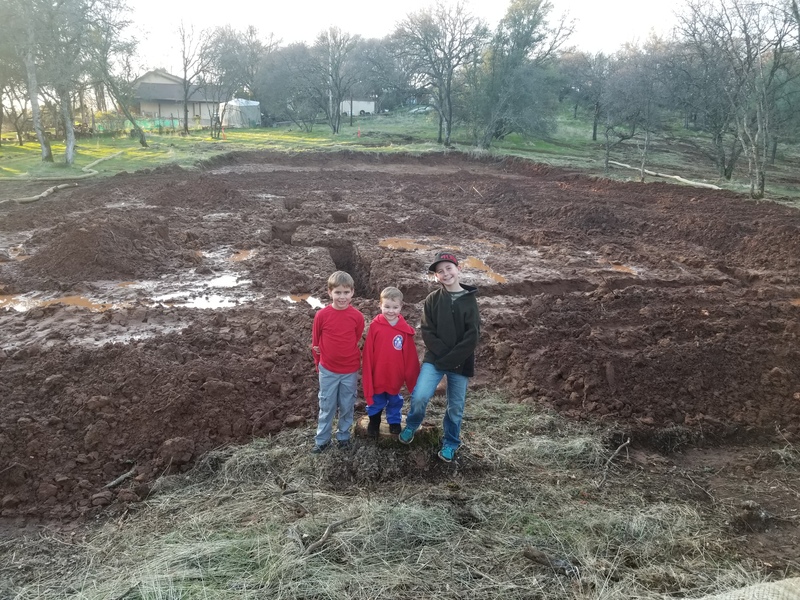 We signed our loan documents with the kids in tow and met with the contractor the next day to begin digging the footings for the foundation. Our loan paid off the small $35k note held by the former owner, gave us a $50k draw to pay for permits, and $10k to get started on construction. Draw periods are pre determined at set points throughout construction, as we meet those targets. The foundation will be concrete slab on grade. 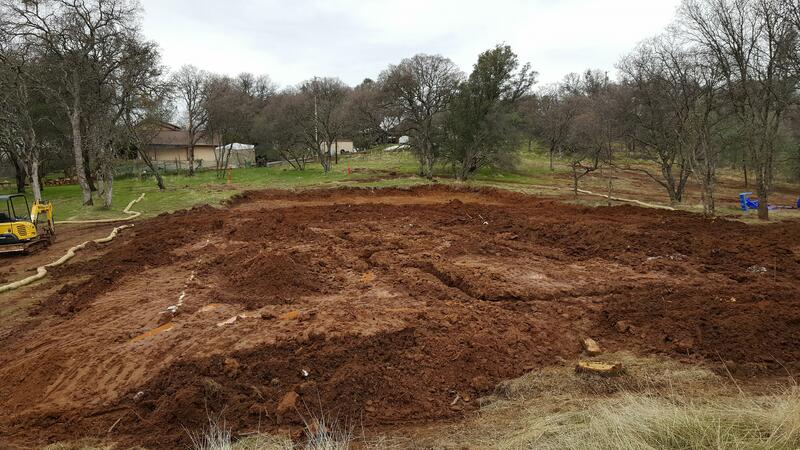 We’d had the building pad graded and they are required to dig footings down 18″ into undisturbed soil under the perimeter and load bearing walls. We marked out where we wanted the house to sit and the contractor chalked out our floor plan. After a year of designing, this was the first time we could walk through our life sized floor plan marked out on the ground. This is a large home 2,948 sqft on the ground floor, but it’s strange how everything feels small on the ground. The layout itself felt good. We looked out where windows and doors would be for what the looked out on. Our original plans included a workshop to be added later. We decided to move that up concurrent with the build. It will make storage during construction, the sale of our house, and moving, much more feasable. 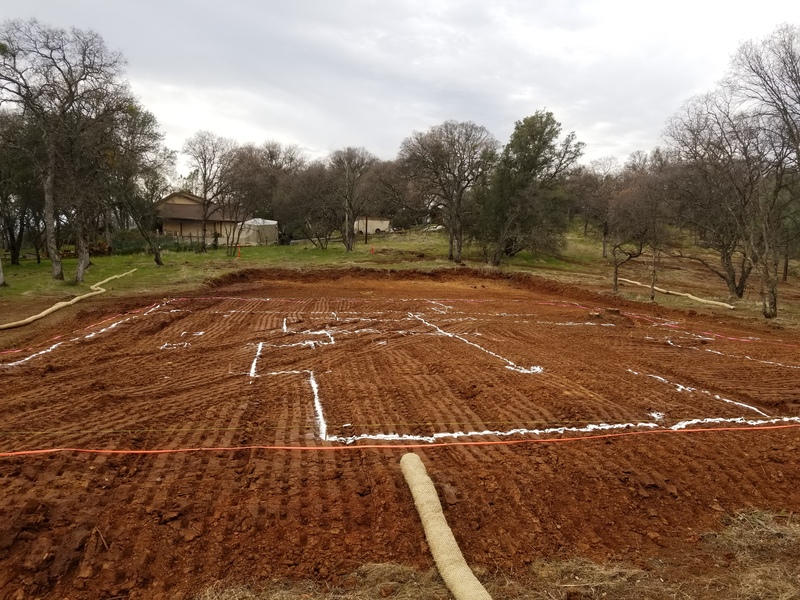 We also marked out the location if the 5,000 gallon water storage tank we are required to have, all of the time being aware of setbacks on everything, i.e. power must be 10ft from a structure, water must be 30ft away, buildings must be 50ft from the property line, etc. We also chose the location of the septic tank, careful that it is not too close to the house itself but still accessible for pumping, etc. It is a challenge to try to plan out everything from scratch, hoping we won’t regret later where we placed anything since these are permanent locations, it definitely requires vision! There isn’t much we can help with ourselves right now. We like to go out and just see the progress. This week we’ve been a little delayed by wet weather, but that has passed and some dry days mean the contractors will be back out prepping for the foundation pour! We jokingly refer to this house as “The house that Craig’s list built”. We have managed to accumulate nearly every single interior finish we can think of by diligently searching Craig’s list and other social media and yard sale sites for new or gently used materials. We have also made a habit of buying materials we like that are at a great discount from retailers. This has allowed us to use this planning stage productively and will ease the burden on our finishes budget to promarily labor when the time comes. The accumulation began when we bought “the house that wasn’t”. We had initially planned for the remodel there to encompass much more, including a kitchen overhaul and master bath redo. Those were put on hold when we decided we needed to step away from that house and rent it, which led to the eventual sale. While we had that house, we acquired our appliance package, a complete set of high end Bosch appliances, all bought off Craig’s list, and most bathroom fixtures. The six burner cooktop is brand new, Lowe’s made a mistake shipping the wrong product, that customer ended up with two, sold us ours for $400, half off the retail. The oven was a display model, never installed for $200. Some of these we’ve had to drive for, but the savings are worth it. Our bathtubs are whirlpool tubs, also display models, got both for the kids baths for $200. The side doors came from a contractor that was moving for $200 for 2 96″ glass doors. Our master bedroom has a wall of Windows that leads outside, a 10′ sliding glass door. We found one for sale, still not delivered by the retailer for $1500, normally a $3500 door. The retailer transferred the order into our name and will deliver right to us. A huge part of this collection has been the ability to pick things up quickly, know exactly what we need by knowing our plans inside and out, and being willing to store things in the meantime. 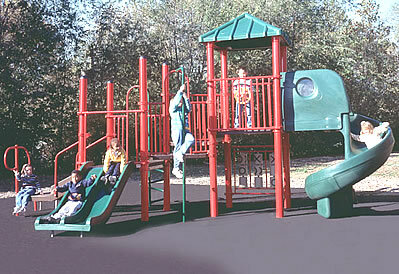 We came across a commercial play structure being taken down by a school so they could replace it. The catch was, we had to take it down ourselves, had two days to do it, and had to find the right tools to disassemble commercial play equipment. Sean and I spent the next two days in the school yard taking apart a huge and heavy metal play structure! It is better than any set we could have gotten and it was free! 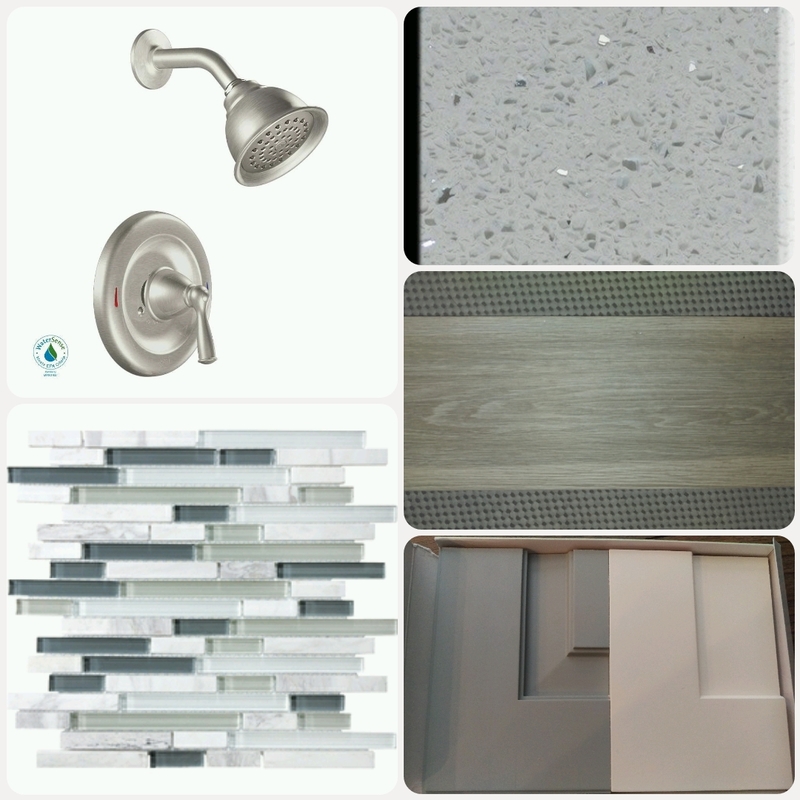 We started touring model homes early on so that we had an idea what finishes appealed to us. This helped choose things like what color metal we wanted throughout, from door hardware to light fixtures, and stick with that. We chose what type of flooring material would work best for us, carpet in the bedrooms, and a wood look tile throughout. We found the tile we liked on sale through lumber liquidators. While we didn’t have a house yet, we ordered 1700 sqft at $1.59/sqft and delayed delivery as long as possible. Up until this point, we’d been using our formal living room for storage, it was over run, a disaster. 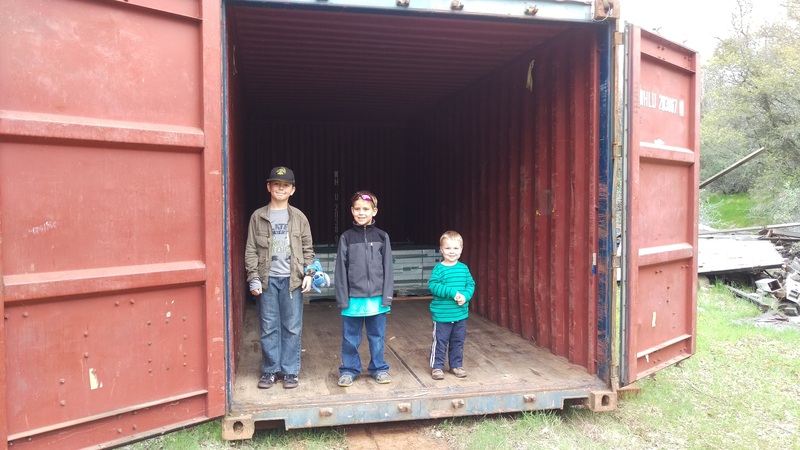 We found a 20ft shipping container on Craig’s list for $900, it just needed to be moved. We found a towing company that would put it on a flat bed for $125/hr and bring it to our site, it took less than 2 hours and we had permanent storage. The flooring delivery truck needed a driveway to deliver on, the wet weather had taken a toll on the ground. Craig’s list gave us a gravel dealer that delivered 16 yards of gravel for $600 and we tractored it out into a temp driveway just in time for a large tile delivery. I’m to the point now where I have a hard time thinking of things we might need to even look for. Most of what we will need is actual building materials like lumber, wiring, concrete, roofing, drywall, etc and those are a bit out of my scope and will likely be legitimate construction expenses when the time comes. We’ve tried to keep track along the way so we don’t duplicate supplies but haven’t been good at tracking what we’ve spent on this stockpile. We realize we may end up with things we can’t use or change during construction, but because we’ve bought at private party prices, a resale will not be a burden. In fact, we usually ask the question “can I resell it for that” when making the decision to buy. In a process where budget overruns are the norm, I hope this collection can take a bite out of our end cost! One of the things Sean and I are great at is finding a bargain, it’s not by chance, it’s by persistence, this is the story of some of y favorite upcycles along our way to our home build. There was a year or so while I worked at the state that our agency had no funding. We were pretty much told to sit at our desks and keep quiet to maintain current staffing levels aka our jobs. I hated it, I’m a project person, I needed to stay busy. It was about this time I got really good at using Craig’s list, this was before most of the apps and social media sales groups came on board. I established good searches, browsed a lot, and learned what to look for. I dabbled for a while in flipping jewelry, buying loose diamonds, setting them, and reselling, the same with furniture although I wasn’t refinishing at the time, just reselling. It kept me busy and made a nice side stream of income. I rarely buy anything without searching for it used first, and sometimes things I’m not even looking for jump out at me. That’s what happened with our first boat. 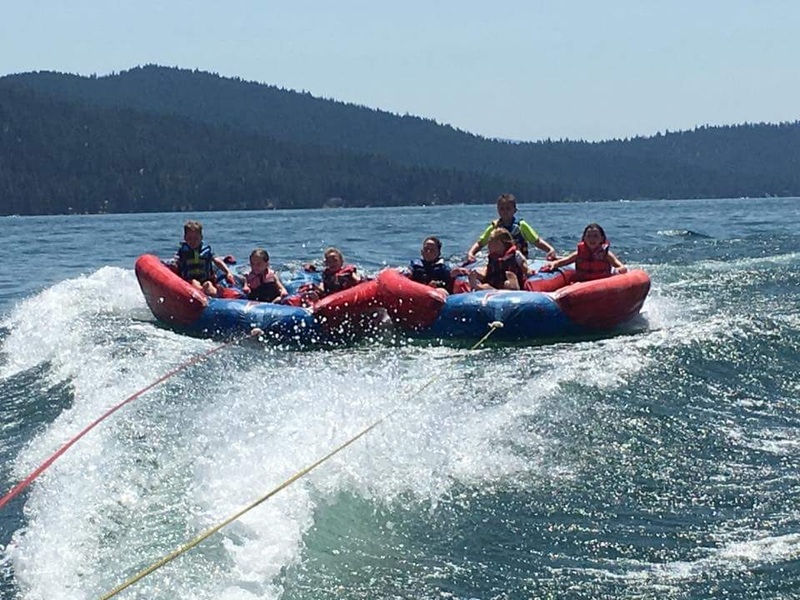 We had talked a bit about owning a boat, we enjoyed being on the water with family but whatever we got had to fit in our garage. 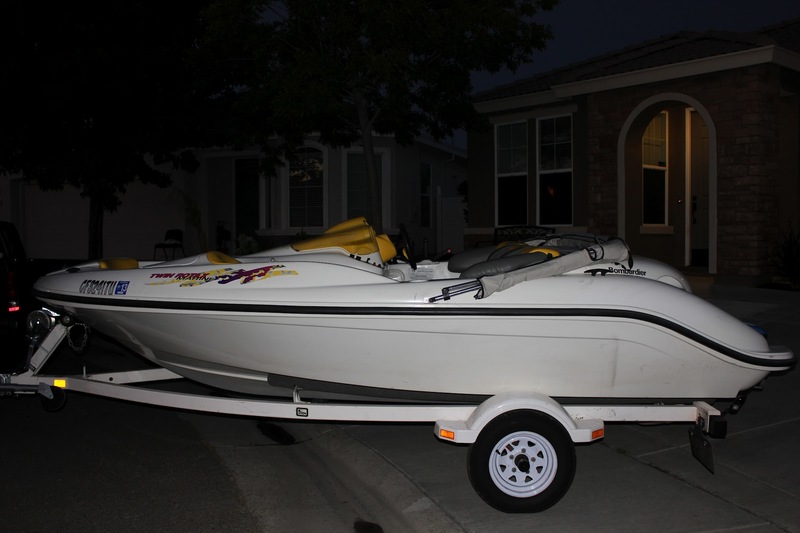 We found a 16′ seadoo boat listed for $3400, bought it for $3k. It ran, but needed work, upholstery, some engine tune ups. 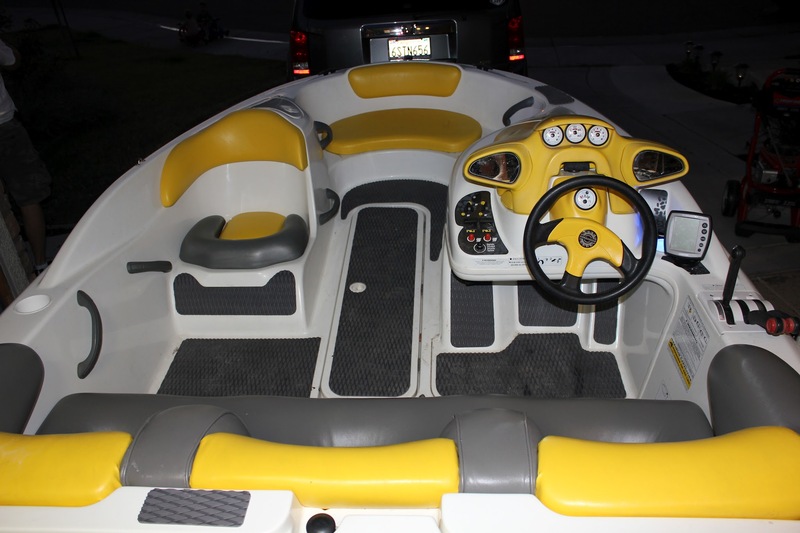 It came with marine vinyl so Sean got a heat gun and reupholstered it, heat gunned the plastics to refresh the color, added hydroturf, led lighting, engine upgrades, all together @$500. 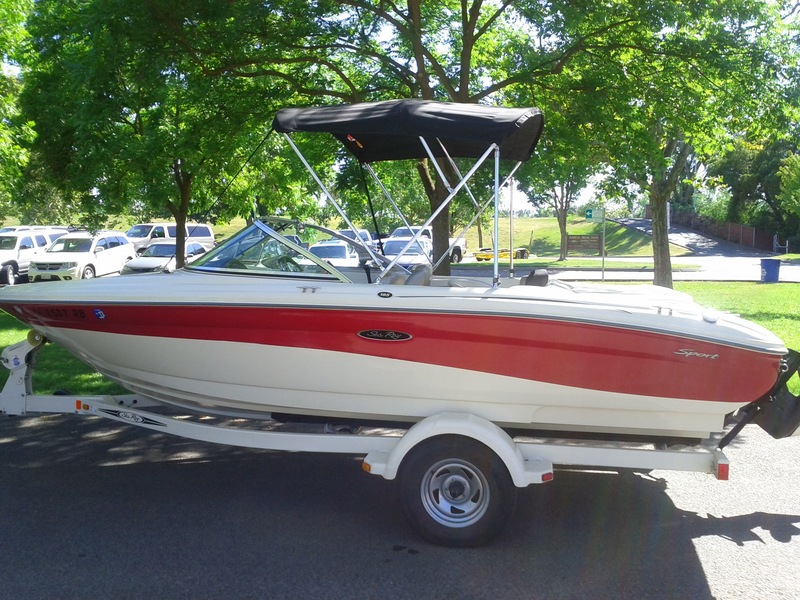 We sold it the following year for $6500 and bought a 17′ bayliner for $7500. It was better, but really basic. 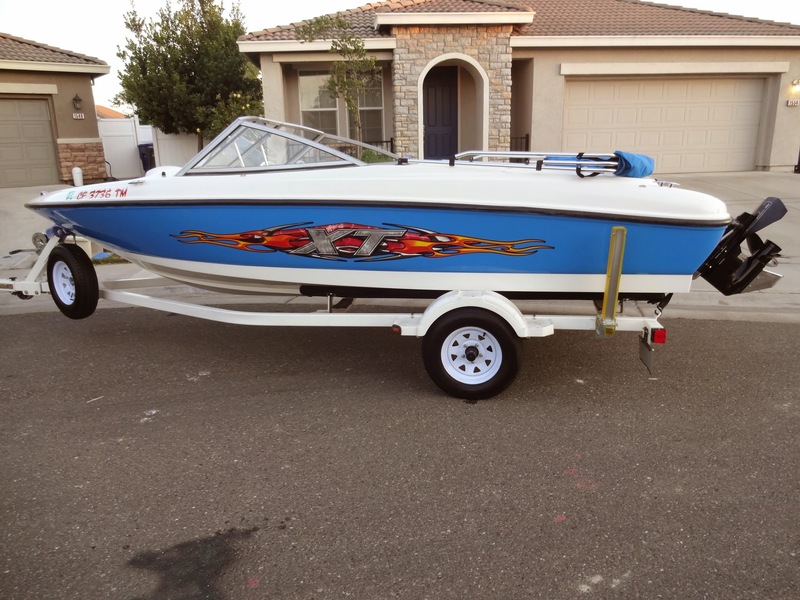 We added decals, lighting, a few cosmetics and sold that the following year for $10,500 and bought our current boat, a sea Ray 185 for $11k. We’ve had that for 3 years now, still laugh about the one that started it all. 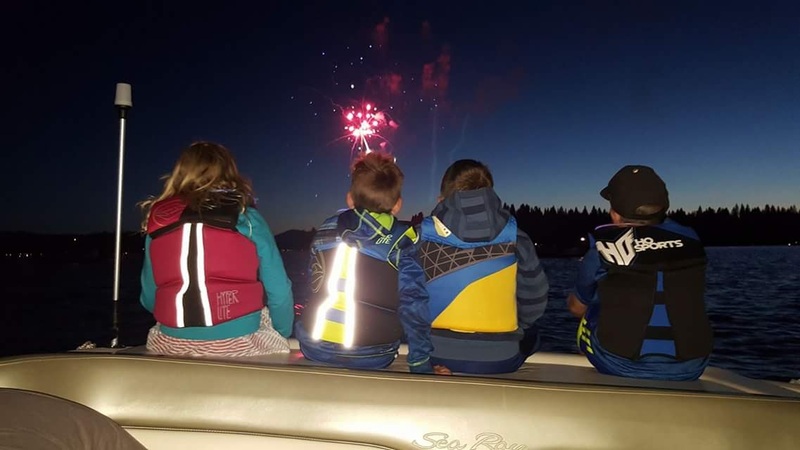 Now @$5k into a boat that still works great for us. 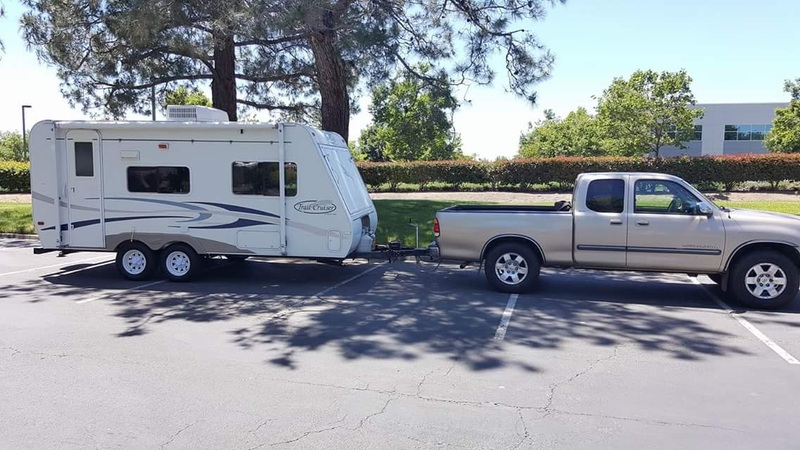 Our camper was a similar story. With the idea of building a house on the table, we’d need a place to stay on our land. I found a Coleman pop up tent trailer for $1100 on Facebook and jumped on it. The inside was perfect, but the top had cracked from the sun and needed to be replaced so it was priced to sell. Sean sanded the top down, coated it in marine resin and weather proofed it. It was a million times better. We sold it the following year for $4500 without ever having slept in it. 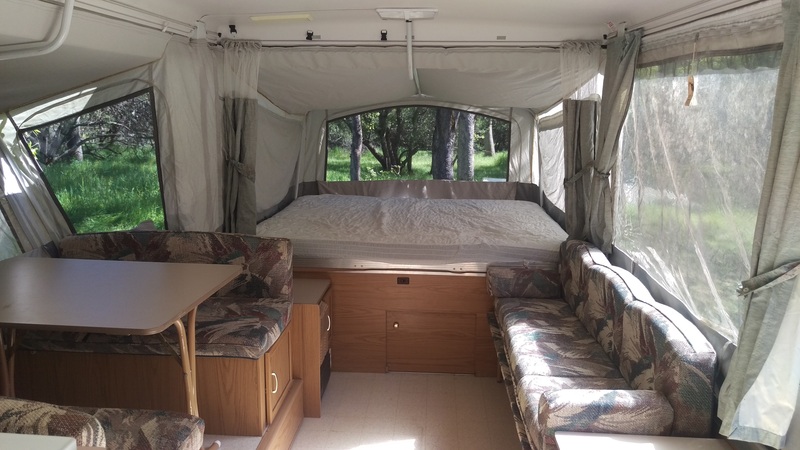 We bought our current camper, a 2004 hybrid for $3000 because it needed cleaning and small repairs. We scrubbed it, replaced the couch, recovered the cushions, New lights, stereo, faucets, and mattressses. It’s nearly new inside and we are @ a net zero on owning it. 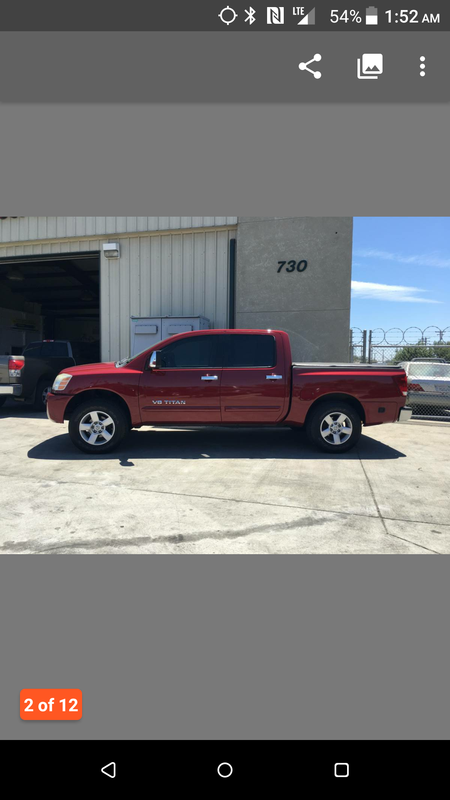 Our truck was another necessity with my business growing and construction taking a toll on my suv. 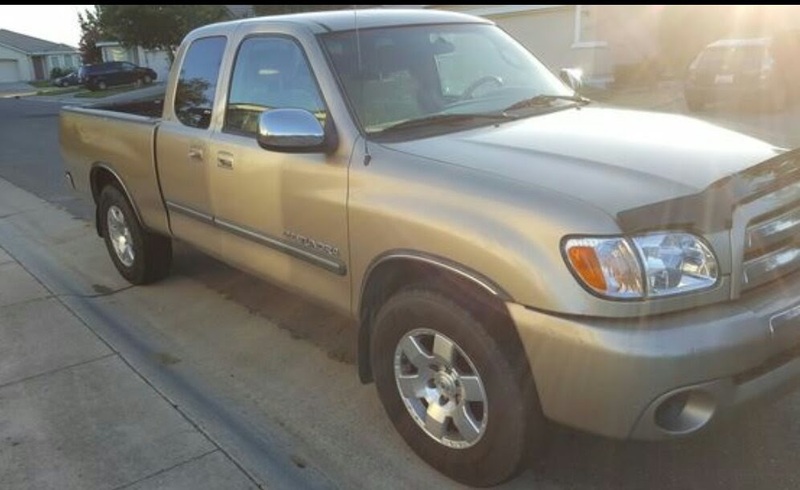 We found our truck, a 2004 Toyota tundra for $1700. It had a damaged quarter panel from a fence bender, but clean title. Sean got a new panel, we sold it the following year for $5600 and bought our current truck for $10,500. 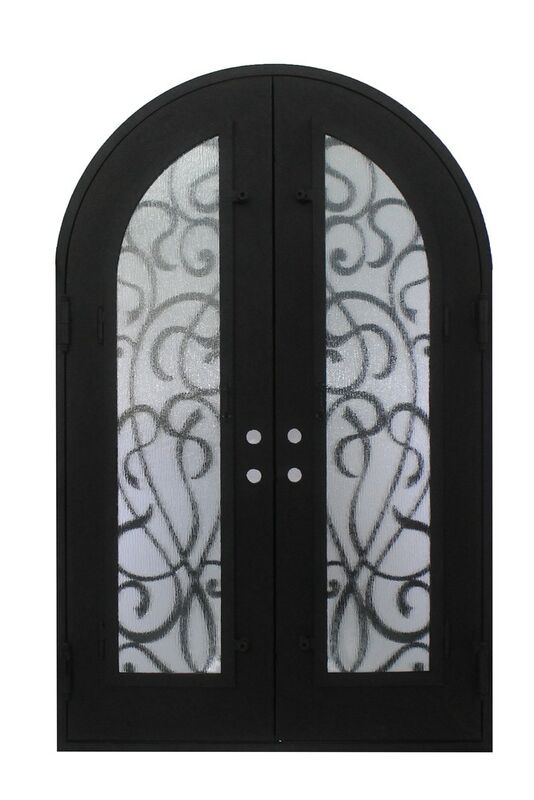 The front doors to our house are big wrought iron double doors. I found them late one night online for $1500+$200 shipping and ordered a set before we even had plans. I Called the architect and told him what we needed to incorporate and he recommended we go with the bigger size so I placed another order and cancelled the original. The company mistakenly shipped both sets of doors! We considered rejecting them, but I kept the shipment. 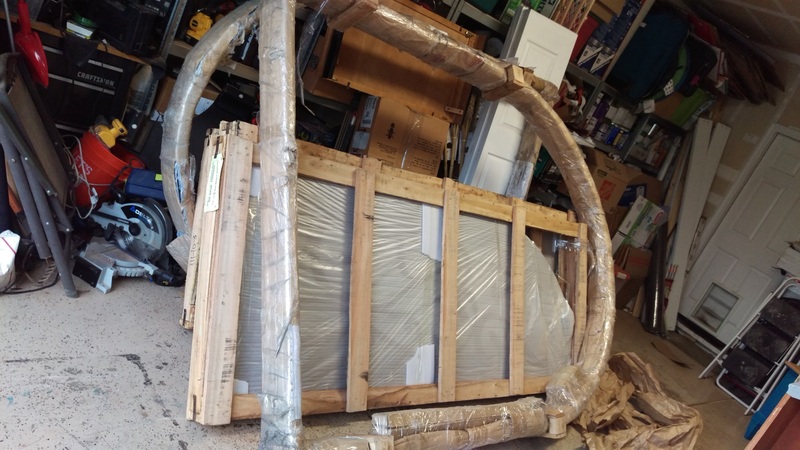 We called the company and asked for a credit to keep the second doors as they would have to repay for freight service and ‘re crate them as the first company had removed the shipping crate. They offered us $400 to not send them back. We then sold the doors for $2000. All in all, beautiful doors worth @$5k for under $1k. None of this is a story of luck. I literally search nightly for construction materials, anything I think we could use. It is part of my routine now. We think of everything in terms of whether we could improve in it and make it work, or at least use it as a stepping stone to what we really want. We aren’t afraid of a project, if we don’t know how, we will learn. We aren’t afraid to ask for a deal, discount, or make an offer. Each one has our blood, sweat, and tears in it. We have worked hard to have things we may not otherwise be able to, and we appreciate them so much more as a result. 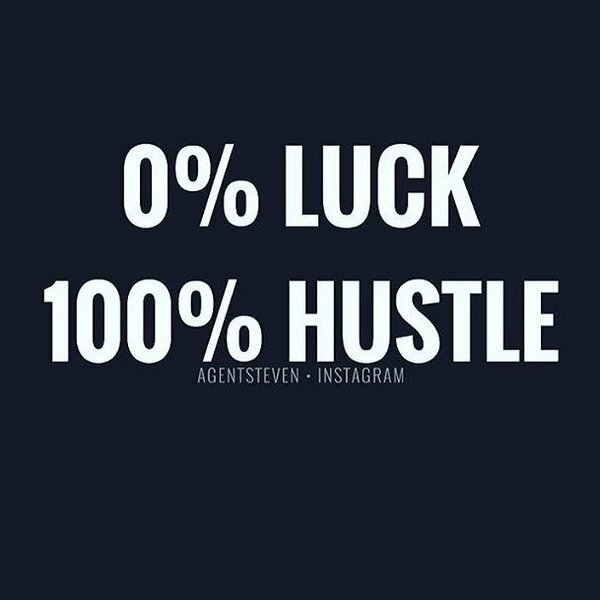 It is 0% Luck, 100% Hustle! Once we owned our lot, one of the first choices towards building that we needed to make was where to get our building plans. Naturally the first step was looking online. I read quite a bit about choosing plans online, that were pre designed vs. Designing our own floor plan. Online plans would be much easier, or so it seemed anyways, so we researched that option first. What I found was that in California, the building regulations are so stringent, that a lot of pre designed plans may not comply with our codes and requirements. Most plan sets online run @$2500, we would need the most expensive PDF version so we had the electronic files to make changes to. I began looking at plans online. We knew what our “must haves” were an open floor plan, 4 bedrooms, 2-3 baths, great storage, a 3 car garage, simple lines to keep construction costs down, as simple of a roof line as possible, and the one thing our kids wanted more than anything…stairs. I wanted a one story home and the best way to add stairs was an upstairs bonus room. This room would end up being a thorn in our side through this process. This was an early favorite, had the bonus room, gave us a study and formal living area, but I wanted changes to the utility room and master bedroom. I messaged the plan company and the changes added $1800 to the plan cost, fairly small changes. Plus we found that because there was no way to know if these would meet CA building requirements, and local codes, we would have to have them reviewed by a structural engineer. The cost of a structural engineer to review plans from scratch, when they don’t know the architect was significantly more that having them sent by an associated architect. At this point we decided to get estimates on the cost of having an architect draw plans up from scratch. The first architect we met with came back at $6600 based on the sq footage we were after. We met with 3 more and the bids ranged from $7500-15,000. In hindsight I understand the range, but it seemed crazy at the time. Some were including review by an in house engineer, others were going to send it out and it would be a separate cost. We ended up choosing the $7500 bid. We liked him because he also had a side of the business that did construction and we thought that would be of value in considering costs when designing. He also did hand drawings, which were beautiful, but would prove to be very impractical. We met at the site and he drew our first plan. He wasn’t seeing our vision at all and got upset when we wanted changes to the plan because it was hand drawn and would be time consuming to revise. He also was very critical of our plan, criticized the floor plan we wanted, it began to create doubt in us, just was becoming a negative experience. He agreed that he could not provide what we wanted, would offer a refund and go our seperate ways and we appreciated that very much. I loved everything about it. Loved that it had a walk-through available online so we could envision it better. The sq footage was too big, we’d need to shrink it down, and a few other changes, but was a perfect starting point. Actually drafting the plans took @six months. Our architect was doing them as a bit of a side job, outside of his firm, so we often had to wait. We only ended up going through 3 revisions, which is minimal in this process. It helped immensely to have done our homework and know what we wanted! This was right up my alley, I loved designing a home for our family. Every detail was based on how we live, our habits. It was a process to find the right architect, but we absolutely made the right choice, not one complaint about him through our time working together. Sometimes there can be credits for having an existing structure on the property and incorporating it in construction, that was not the case here. This structure was unpermitted and uninhabitable. Considering how to take it down was a chore. It had huge beams at the roof, but the entire floor was rotted out. It was just set on pier blocks. We decided one of our first major purchases would be a tractor. Haha! We lived in the suburbs, had never owned or operated a tractor before. We knew we could use it quite a bit for construction and could always sell it afterwards, so it was worth the investment. 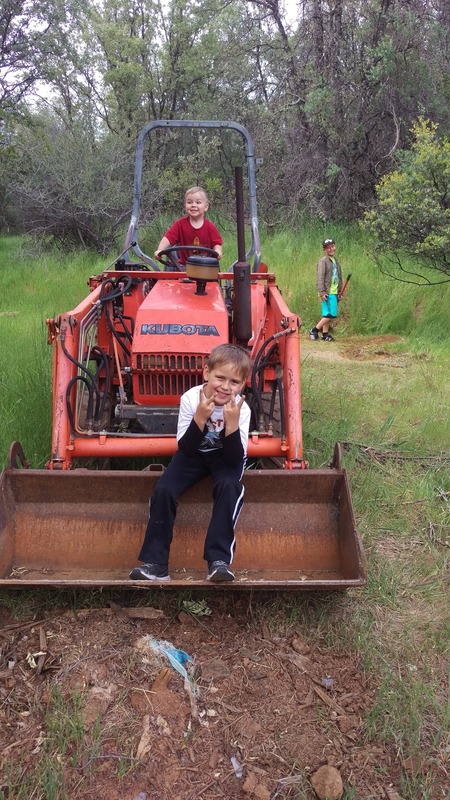 We found a kubota 4×4 with a front loader on Craigslist. They were asking $6500, we got it for $6000. How to move a tractor?? We had a friend with a rickety flat bed trailer. We towed it with my brand new SUV. When we loaded the tractor onto the flat bed, the wood cracked under the weight, but that wasn’t stopping us. We brought it home to our neighborhood over night and then out to the land. The bed of the trailer broke through when we took the tractor off, but we made it, and reinforced the trailer before returning it. We thought the tractor would push the cabin over with a few nudges, turns out it was more stable than we thought. It took some grappling, shoving, and nudging but the beams fell. 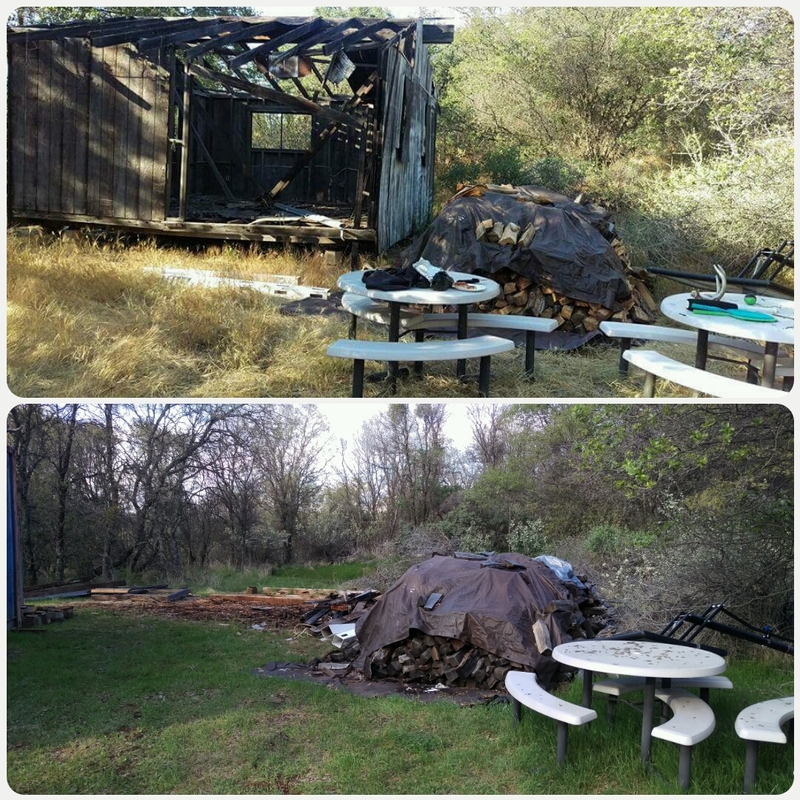 We left it sitting for about six months, then hand loaded 4 truck bed a utility trailer loads full to the dump at @$35 a dump load for untreated wood. So for @$150 and a lot if labor, we removed the entire structure. 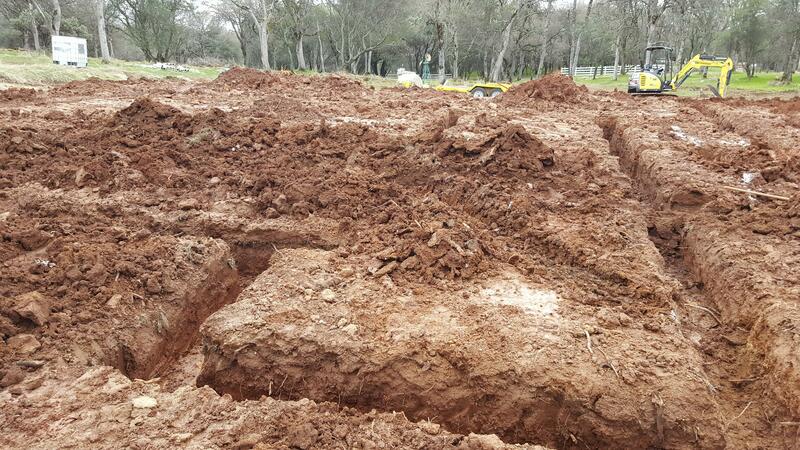 The land had been cleared at some point in the past, but not well maintained. The trees had spread a lot of scrub oak, over hanging branches, and brush. We brought the riding mower from the house that wasn’t because it didn’t sell with the house. One if the first things we did was trim an oak tree that hung over what we were using as the driveway. To our city surprise we ended up covered in poison oak after bear hugging the branches to carry them off. The trees had vining poison oak that I’m not sure how we missed. Would be just the first bout of many with poison oak. It takes about two 8 hour days on a riding lawn tractor to mow 5 acres. There are a lot of fallen branches so it isn’t ideal, needs to be raked. We ended up picking up a box scraper for $300 to hook up to the tractors 3 point attachment, haven’t used it yet, but should help with clearing. Ideally we would like to get a mower attachment for the tractor as well. With no water or power, it can be hard to do a lot. We ended up picking up a 300 gallon water tank that fits in our truck bed for $75, this would help when we needed water on site for projects until we could get power for a well pump. One of our next major purchases was 500 feet of 4 rail vinyl ranch fencing. One of the neighbors houses that we admire has beautiful vinyl fencing at the front and we wanted to create a barrier and gate to deter people during construction. We found the fencing on Craig’s list. They had bought it for their home, but were giving it up to foreclosure and selling the never installed fencing for $2000. 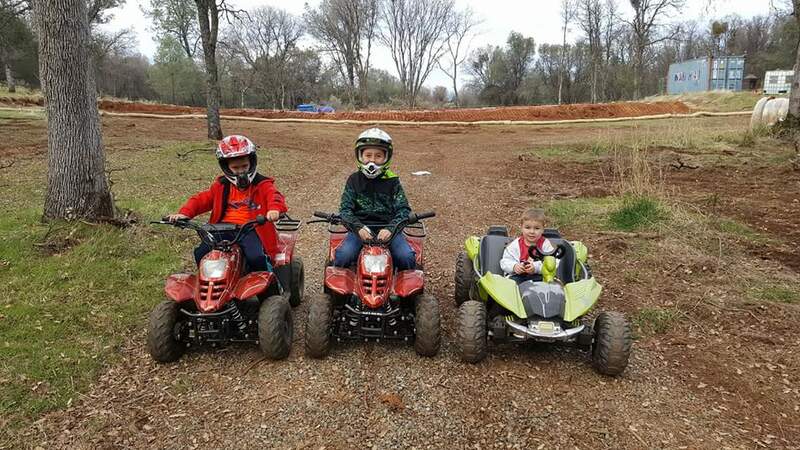 Sean has experience installing fencing so we loaded it up with the help of our boys and brought it to the land, $4/linear foot for this fencing was an amazing deal. The fence would be one of our first major projects, but not for another six months or so. It’s been a while since I wrote, even I had to look back at my last post to see where we left off. I want to talk a little bit more about buying land, it’s kind of a critical first step. Once we had decided to really consider building a home, we had no idea where to start. We had to set a budget for how much we could spend on a lot, but that would depend on what the cost of the house would be, and how much was that?? We started with the rough sq footage we knew we wanted in a house, no less than 2500 but ideally closer to 3000. We called the county to get a breakdown of permitting costs as we had heard that was a huge expense. Permitting costs also include school facility fees, traffic mitigation fees (the largest portion in our county). Total we were looking at $55-60k just for that cost, although we did get some relief when those were lowered @$10k this calendar year to stimulate building. We needed to look into building costs for the actual structure. We started by reading a lot online, talking to some contractors and friends who are contractors. The numbers were all over the map. They ranged from “we are going to summer in Europe, please have our house done when we get back” to “I’ll swing a hammer myself while we live in a camper”. We are closer to the latter. Costs ranged from @$80-150/sqft. We took a middle of the road figure and ran with it. We set our budget for a lot at $200k. It was a good number to land where we wanted to be at the end of the total build. It was about how much cash we could come up with without needing a lot loan. 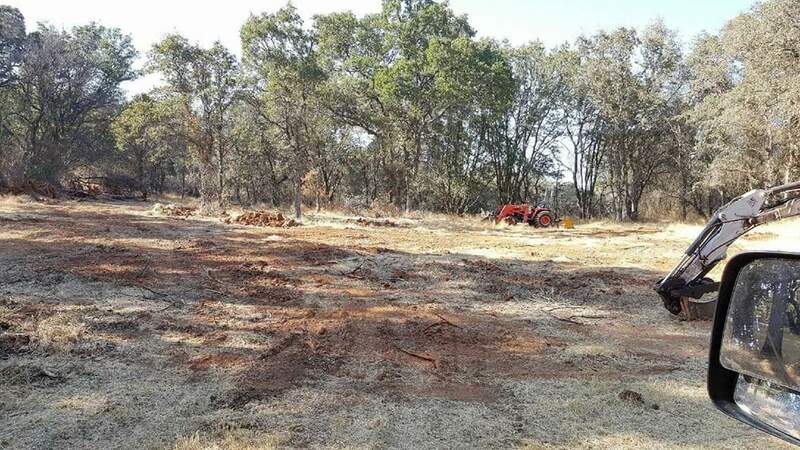 A lot loan required @30% down, complicated the closing process, and the process of getting a construction loan, so we avoided financing the land. That’s the biggest thing I’ll say about this process, you are nowhere without some skin in the game. The risks are big for a bank, so they want you to have some serious money out of pocket involved. Our main priorities were location, close to the freeway for Sean’s work commute. Good schools, from elementary to high school. Close to amenities like shopping and city perks we were used to having. Preferably a neighborhood feel, but still enough distance to be private. We looked at lots from El dorado hills to Pollock pines overlooking the lake, to shingle springs and Placerville. El dorado hills had primarily smaller sized lots, the land was more expensive, much less flat. Shingle springs had a few, but most were on main roads or laid out poorly. Pollock pines was beautiful, but too far out for us. 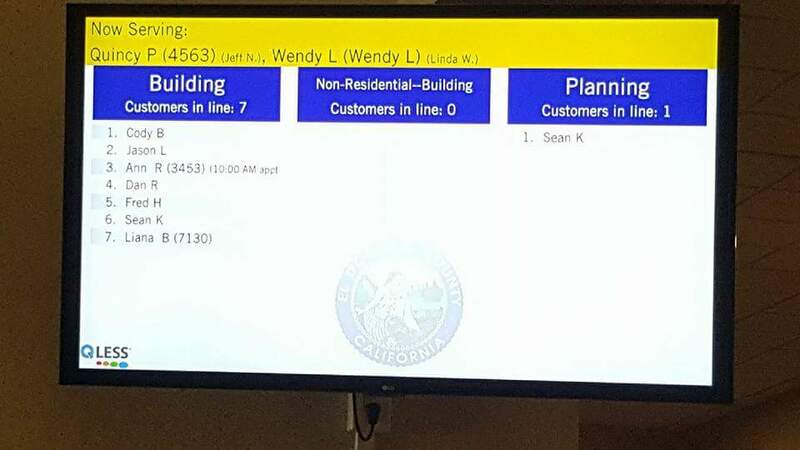 We considered things like, how close were utilities, was pg&e already run, were any permit costs already paid, was there a driveway already in, how flat was the lot, did it already have a building pad, was there an HOA that had minimum so footage requirements and additional costs, was there a well or septic already on site, had any tests or planning been done. Little things can add to the cost of your build without even realizing. I feel like if we got one thing right, it was our lot choice. I absolutely love it. It was the second one we saw and kept coming back to the neighborhood. Checked all of our boxes. 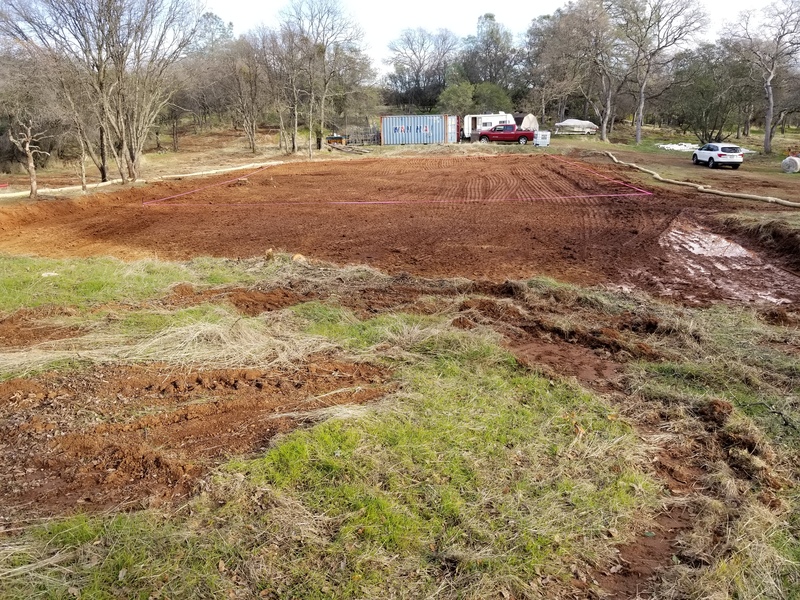 It has two wells on site, power to the street, the owner had already had building plans drawn so they’d paid for surveying, septic plans, and building plans that would literally end up saving us $20k+ in the planning phase. I didn’t know the value of those plans at the time we bought, but they’ve served us well. We contacted the HOA to find out what their restrictions were. They were very slow to respond but had tight covenants in place. When we finally talked to them, they were very lax. They did not require a design review, said “we are all grown ups here and lots are far enough apart to be able to do as you please”. The main purpose of the HOA was to maintain the private roads in the neighborhood and the gates at the entrances. It was just enough without being too much. We were selling the house that wasn’t at the same time and took a risk moving things to the property before we even closed on it. We had to move a shed and wood pile and had no where for them. We hired a tow company for $150 to pull the 8’x12′ tuff shed onto a flat bed and drive it over. Then we loaded 5 full loads of cut and stacked oak firewood into our utility trailer and piled it there, sounds crazy but 5 cords Rolf wood was too much to leave. The owners weren’t happy, but the sale closed and it never came up again. We owned land, our first steps in going country still make me laugh.